In the deep and darkest depths of 1978, two Camelback High School (in Phoenix, Arizona) friends Scott Brazieal (keyboards) and Mark Innocenti (guitars), with boundless energy and a penchant for liking old cartoons, progressive rock and jazz, decided they wanted to form a band, to play improvisational and off-the-wall music. 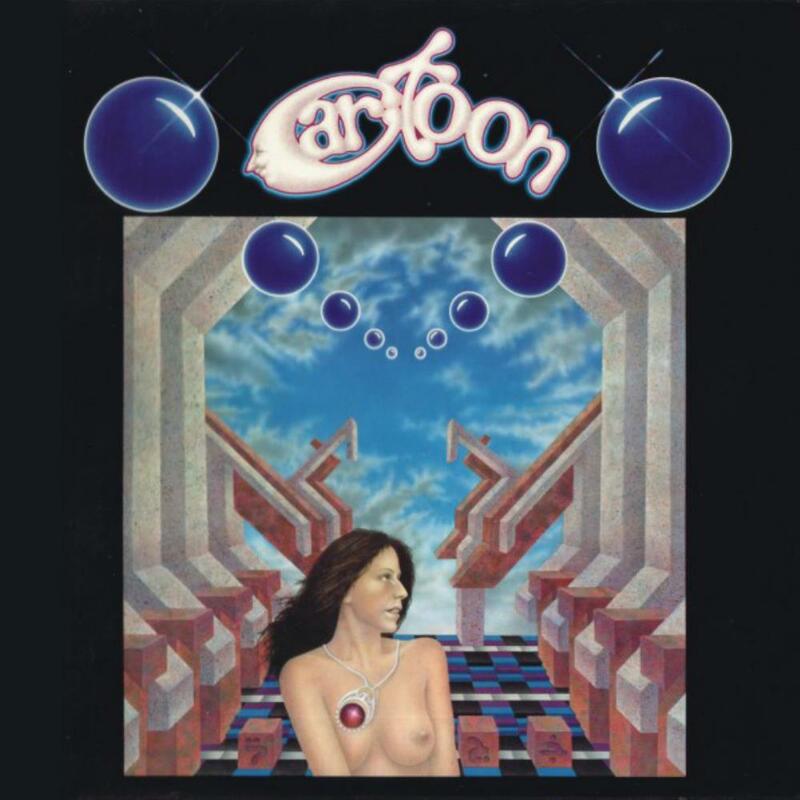 CARTOON was the band that simmered slowly at first, finally hitting boiling point and eventually entered into the realms of avant-prog folk-lore with their second album "Music from Left Field". With help from others, they unleashed themselves onto an unsuspecting pop, punk and AOR-loving world in 1980, with some live performances in San Francisco (once as a support act to A FLOCK OF SEAGULLS). Scott and Mark made their first forays into composing music with the tracks "Shredded Wheat", "Apathy In America" and "Shark" (which all took a few months), whilst Scott Brazieal - with his classical training - scored "Ptomaine Poisoning" and "Atomic Bolero", which utilised a structured and precise development. Cartoon at this time, had no drummer, so Scott and Mark tried hard to find a drummer that could play their demanding structures and shifting meters, but none of them could grasp them. Eventually Mark met Gary Parra (who imported European imports for a record store), a very talented drummer, who could play in different styles. All three of them hit it off both musically and as friends and so they now could do some recording. 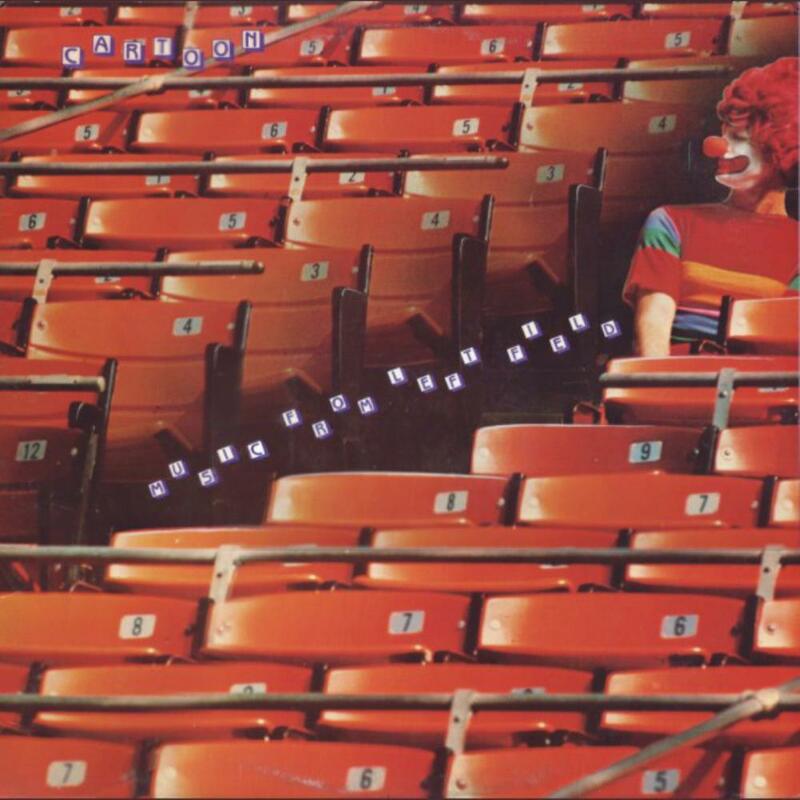 In May 1979, the band went into Synchestra Studios, in Arizona, to record "Flotsam" and "Apathy in America" (originally intended for a sampler of Arizona bands, but they were deemed too "eclectic"), which they distributed to local clubs and record companies; none of which felt they were suitable. Musically - at the time - they were off the map in their native Arizona. They did however secure some gigs and they played their first gig at Scottsdale Unitarian church, to an appreciative crowd. However, good news was on the horizon, when Steve Feigenbaum of Random Radar Records heard their demo and enjoyed their music. Steve convinced the band members to record an album independently and he would then distribute it through his then burgeoning mail order music catalogue, Wayside Music. 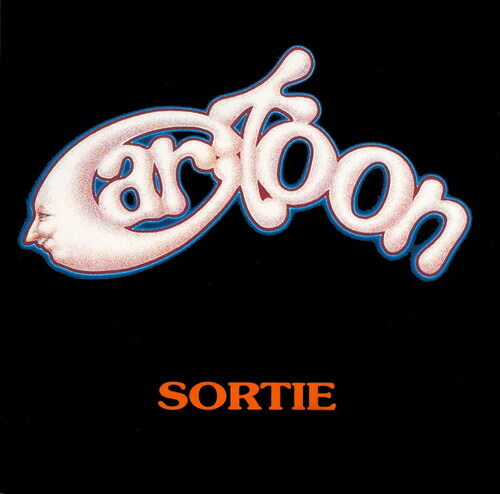 Recording of their debut album "Cartoon" took place in 1979 and was completed in 1980, again at Synchestra Studios, ably assisted by producers Jon Wilson and Ed Van Fleet, on only eight track. Unfortunately, due to lack of funds, the album could not be released. Scott Brazieal then relocated to San Francisco, joining the Conservatory of Music at the beginning of the winter semester of 1980. Whilst studying, he would improvise jams with his roommate Randy Sanders (drums). On one occasion, Herbert Diamant (woodwinds), jammed with the pair and instantly struck a friendship with Scott and was intrigued by his musical direction. Mark Innocenti and Gary Parra remained in Phoenix at this time and were eventually approached by Craig Fry (violin and French horn), who responded to requests by Mark and Gary, in relation to classical musicians. In the summer of 1981, all three (including soundman Joe Corrao) relocated to San Francisco, to an apartment not too far from Scott and Herb. Cartoon were now a 5-piece and they started rehearsing both old and new material. The addition of violin, bassoon and synthesizer changed their dynamics and timbre. More good luck followed in 1981, when long time friend of the band, Alex Alvarez won a bet on a horse race. This meant that the remaining bills from the production of "Cartoon" could be paid and the album was finally released in late 1981. Distribution was reasonably large, with albums even selling in France. Critics at the time, likened their sound to RIO originators, such as HENRY COW and UNIVERS ZERO, as well as Zeuhl masters, MAGMA. The band then played some more live dates, mostly to small audiences in small venues in the Bay Area. Eventually, Mary Tilson (program director for KPFA) saw them perform live as a five-piece and the gig was broadcast on their station. This performance would also be released as "Boot-Legged" on cassette, thus furthering their fanbase. It also happened to be the first time the quintet had been recorded in any form. Due to this stroke of good fortune, Cartoon would now play bigger venues, opening for acts such as SNAKEFINGER, NEGATIVLAND and ROVA SAXOPHONE QUARTET. This further escalated, when Rod McDonald of THE STONE, managed to secure them to open for national acts (and prog stalwarts), ALLAN HOLDSWORTH, FRED FRITH and RENAISSANCE. They would achieve an audience of over 1000 when opening for JON ANDERSON'S ANIMATION. They returned to Phoenix and Synchestra Studio, to record "Music from Left Field", which was a more daring and improvisational album, which did however, follow a pre-conceived structure, relating to "moods, motifs and transitions". Sound-wise, the album was more classical orientated and also used classical structure in many places. The musicians also overdubbed many of their parts, to add even more complexity. "Music from Left Field" blossomed into their most successful album, receiving many accolades from more than just the specialist press. They even piqued the interest of countries such as Czechoslovakia, Hungary and Yugoslavia, whose representatives asked them to perform live at Universities. They however, did manage to secure two performances at two Festivals in France - thanks to Bernard Geuffier - which took place in 1984. They shipped all their equipment over by boat and rented a piano, mixing consoles and amplifiers (and other large items), in Amsterdam. They first played at the "Maison de la Culture" in Vandoeuvre-lès-Nancy on 29th February 1984, where other bands/musicians included UNIVERS ZERO, CHISTIAN VANDER (of MAGMA), CASSIBER, THE CAMBERWELL NOW and LOL COXHILL (Canterbury Scene). They then followed this by playing at the Maison de la Culture in Reims, where again, CHRISTIAN VANDER would perform, as well as such prog luminaries as JOHN GREAVES (formerly of HENRY COW), SKELETON CREW and VON ZAMLA (and many more). CARTOON performed covers of 20th Century Classical composers, such as BARTÓK, STRAVINSKY and WEBERN, as well as television themes, such as "Rocky & Bullwinkle" and "Peabody & Sherman" at these performances. The afternoon after the Reims performance proved to be an unfortunately unforgettable experience, as whilst staying in a Hotel in Paris, the band had their equipment stolen from Clichy (where it had been stored at a friend's house), a poor suburb of Paris. This proved to be the last straw for the band and they never performed again. They did try and recover the equipment, but all leads failed and they returned back to America. It turns out that their stolen equipment was "sold" in France and they were billed for import taxes, thus adding further wounds to an already dishevelled band. 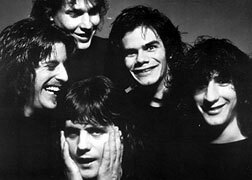 Scott Brazieal, Gary Parra and Herb Diamant would later form the equally adventurous group PFS (who would release an album and perform live), whilst Mark Innocenti and Craig Fry would pursue further musical directions. "Music from Left Field" is their most eclectic and respected album and is definitely recommended to fans of MAGMA, HENRY COW, SAMLA MAMMAS MANNA (and family) and UNIVERS ZERO. CARTOON's music was never as dark as UNIVERS ZERO, so for those who like more jovial and fun Chamber Rock-orientated music, with a penchant for orchestral and cartoon-styles, then CARTOON are definitely worth investigating. Cuneiform Records released a compilation CD named "Sortie", featuring both their albums (minus one track from "Music from Left Field), in 1994 and is distributed by Cuneiform Records/Wayside Music (Steve Feigenbaum). Note: this biography has taken research from the extensive history of the band from the liner-notes of "Sortie", but the words are the author's own. A tight little trio that manage to sound like a sprawling band, Cartoon were an avant-prog unit operating out of Arizona whose debut represents a thumb to the eye of commercial expectations. Like the Muffins, Cartoon blended the humour and compositional rigour of early Frank Zappa with influences from the RIO and Canterbury scenes, though to my ears Cartoon lean a little lighter on the Canterbury and a little heavier on the Henry Cow-ish side than the Muffins do. A few symphonic touches are thrown in here and there, such as a little lift from Beethoven in album opener Shark. Unjustly overlooked, perhaps some progressive label could look into doing a rerelease of this one, because it doesn't deserve the obscurity it's been languishing in. "Music from Left Field" is the second, and - unfortunately - the last album by the crazy american drums-keys-guitar trio by the name of Cartoon. For this release, they actually have two "bonus" musicians, who play woodwinds and violin. And while this album shares some similarities with their debiut from '81, the addition of woodwinds and violin really puts Cartoon in a new, fresh perspective. First of all, I believe that the new instruments made it much easier for Cartoon to fully express their weird, cartoonish musical desires. The goofy bassoon (or is it a bass saxophone? I'm not sure) and quirky, fidgety violin match Cartoon's vision extremely well. Secondly, "Music from Left Field" sounds much richer and even symphonic (to a certain extent), compared to a rather raw and crude debiut (which is a masterpiece anyway). Cartoon actually sounds a lot like Univers Zero on this album. I think the closest album to compare would be "Ceux Du Dehors" - very simillar, gloomy atmosphere, created by acoustic chamber masterminds. However - the band's name indicates the differences between them and UZ. While dark and scary, their music is also less serious, or - sometimes - even not serious at all. But the atmosphere and overall feeling are quite in the same vein. This album offers a plenty of different moods - from heavenly, almost minimalistic ambient, through clumsy circus music (which should leave you scared of circuses for the rest of your life), symphonic music, complex disturbing chamber-prog, hypnotising free rock/jazz, pure goofiness, grand musical void... some moments will make you crack a big smile, while others will make you scared and paranoid. And the best thing is - most of them will make you BOTH! My recommendation: get this album and wait for the night to come. Once it's dark outside, turn off the lights, lay down on the bed, close your eyes, and just let the music play. It's an experience worth at least a thousand circus tickets. Whitout the intent to make play on words, the music of CARTOON seems to me exactly that the name says, a soundtrack to cartoons , in special humor/childish cartoons ( for cinema or tv), howevere, their sound is not a children joke. The themes are rich in instrumental virtousity and full of melodic "landscapes" and in fact make CARTOON's music outstanding !. The track 1 "Shark" and track 5 "Apathy In America " presents some musical passages which clearly reminds the tv series "The Simpsons". 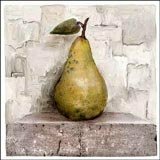 The track 4 "Flotsam" is "filled" of percussion inprovisation and a Fripp's style guitar melody ! The track 7 "Shredded Wheat" take the main theme to the classical music, [(Liszt(keyboards) meets Pagannini(guitars=violin) meets Carl Palmer for a jam session)], simply fantastic. The only restriction that I can make is the sequence of different themes in a track, which not always make a logic musical sense. Due to this fact I cannot give the maximun quotation, my rate is 4stars !!! This was one of those rare finds. This trio plays music somwhere between Henry Cow and Univers Zero, but definitely occupying their own space. They blend symphonic prog, free improvisation, and jazz stylings into a wonderful work of RIO. Shark even manages to fit in a bit of Beethoven. Anemic Bolero builds from simple piano noodlings into a spectacular piece. Ptomaine Poisoning reminds me a bit of "Weasels Ripped My Flesh" era Zappa. (I'm pretty sure the titles of the second and third track are swapped on this site, as my LP sleeve confirms). Flotsam opens the second side of the record with Schoenberg-like orchestration, quickly turning into electronic music madness. Super cool. Apathy In America begins sounding like a Zappa/Mothers piece, but goes well beyond. I Have No Teeth gives a moment of respite before the pure glorious mayhem of Shredded Wheat begins. I know I've made a lot of comparisons to other artists, but just to give a frame of reference. These guys really do have their own sound. This is probably the best $1.99 I ever spent. For CARTOON's second and final release they have added a violinist and woodwind player. In my opinion this one is not quite as good as the debut, but it's still excellent. It's really sad though that this great band called it quits back in the eighties. So talented. After this album was released it received great reviews, and the band started getting invites to go to Europe. So they decided to do a small tour over there. It was a huge success as they played in festivals with Christian Vander, John Greaves and many other like-minded bands. They even got to jam back stage with UNIVERS ZERO and listened to the yet unreleased ART ZOYD ballet. They were on top of the world, that is until someone stole the van they were renting and all their instruments, LPs, audio gear and clothes that were in it. It was all gone. Gone too was the spirit to carry on, they would never play again. "Quotes" is the 15 1/2 minute epic and opening track. It opens with synths and lots of atmosphere as the sound builds. This is heavenly. It changes before 3 1/2 minutes in to a soundscape of intricate sounds that come and go. Piano, violin and drums end up leading the way 5 1/2 minutes in. I like the aggressive guitar a minute later. A change again 7 minutes in as the melody stops and we get lots of atmosphere. Flute, violin then piano 10 minutes in. It gets a little crazy before we get a great sound 13 minutes in. It ends in a haunting manner. "Bedlam" opens with funny vocal sounds. Love the intricate collage that follows, an incredible sounding melody. A weird steady noise sort of hums until the intricate melody returns before 3 minutes. Random sounds take over, then our melody is back again. "Light In August" is dark and scary. Bass, French horn and synths are prominant. The tempo picks up after 1 1/2 minutes as the guitar comes in ripping it up. Nice. It then becomes very UNIVERS ZERO-like with the darkness, percussion and overall sound. Violin before 3 1/2 minutes. The guitar is back after 4 minutes as drums pound away. "Scherzo" sounds like they are having lots of fun with these incredible yet cartoonish melodies. "Bottom Of The Ninth" has a good melody, and I really like the sound of the guitar before a minute. It turns dark 1 1/2 minutes in without a melody until the previous one returns a minute later. Outbreaks of drums as keys are played before 3 1/2 minutes. People are yelling funny things in the background to end the song. In the liner notes they say that this record was improvised to a preconceived form. A must for fans of Avant-gard music. CARTOON have been compared to UNIVERS ZERO and HENRY COW for their classical influenced, Avant- gard style of music. What amazes me about their debut is that it is played by a trio (drums, keys and guitar) when the music often seems like it is being played by a 6-8 piece band, as the soundscape is often filled by a collage of intricate sounds.The drums and piano really lead the way most of time.This is so complex, yet so melodic at times.Very impressive. "Shark" opens with a good beat as piano and guitar take turns taking the lead. Things get a little dissonant before 2 minutes when the melody stops. A new melody takes over and it sounds fantastic. Very melodic and beautiful. A change after 5 minutes as another melody takes over after some cartoonish sounds. Guess what ? This sounds really good as well. That melody stops before 7 minutes as some samples come in.The last section includes some aggressive guitar. Nice. "Ptomaine Poisoning" opens with some random piano sounds. We start to get a piano melody after a minute. Drums come in and then a full sound before 4 minutes. The full sound comes and goes. Great sound 6 minutes in. "Anemic Bolero" features some intricate guitar and beautiful piano melodies as drums keep up the beat throughout. "Flotsam" features what sounds like violin sounds as drums jab away. It gets dissonant a minute in with voices in the background. It all stops as different sounds come and go with no melody, then the previous melody returns with some angular guitar. Nice. The contrast coninues. Great tune. Some cartoon moments as well. "Apathy In America" features outbursts of drums and piano that come and go. They become more steady until before 2 minutes it changes to a calm as it settles down until 3 minutes. Then back to that soundscape of intricate sounds. "I Have No Teeth" is experimental and turns spacey. "Shredded Wheat" is rather dark and haunting as we all know shredded wheat can be. You'll never hear corn flakes described this way. Anyway I like the dark mood they create here. It kicks into gear 2 minutes in with some ripping guitar. This is intense. Check out the piano. There is yelling in the background after 4 minutes. Vibes 5 1/2 minutes in. It's eerie again after 6 minutes. A new melody 8 minutes in with drums and piano. Angular guitar 9 1/2 minutes in is fantastic followed by a complex array of intricate sounds. The song and album ends with a funny phone call. My favourite tracks are the opening and the closing ones. This is music for those who like it challenging, well played and humerous. 4.5 stars. I was waiting many time to see Cartoon (from USA) here on PA. Since the first time I heard their selftitled debut album I was captivated by the exquisite arrangements of every song. Then years after I found this kind of compilation of their two albums (the other is Music from the Left Field) and I get immediatly! So here is the deal: even when Cartoon doesn't break any musical codes and can be consider a band like many others into the avant garde scene, the truth is that you can find wonderful and awsome details in any of their compositions. Scott Brazieal (keys) and Gary Parra (percussions), natural leaders of the band, had the talent to turn any of their instrumental songs into a nice and enjoyable piece of music, full of syncopated rhythms (Ptomaine Poisoning), catchy crescendos (Shredded Wheat) or funny short melodies (Scherzo). With consistent emphasys on keyboards and drums, Carton music is a real delight full of surprirses (a little homage to Beethoven in Shark is a good example of that), complexities and epical moments, specially on the first part. Music from the Left Field songs are a more experimental and sometimes even improvised, but with brilliant dark moments, specially in Quotes and Bottom of the Ninth. This album is an excellent (and maybe the unique) opportunity to know one of the most interesting and underrated Avant GArde bands of the 80's... And if you tried PFS or 5UU's (Brazieal's projects after Cartoon) and you liked it, CArtoon will be definetively one of your favourite bands! A slight departure from their first release and a determined progression forward, American avant- garders Cartoon slam their fist onto the prog table with 'Music From Left Field', their aptly-titled second album from 1983. Craig Fry (violin), Herb Diamant (woodwinds), the tin foil drums of Gary Parra, Mark Innocenti's dirty guitar and Scott Brazieal's unhinged piano devour the 15-minute opener 'Quotes', setting this album's frantic tone. A piece that on its own could satisfy any prog gourmet, full of continual variance, gutted melodies, decompositions, clattering street noise, orchestral tunings, Scott Joplin ragtime, John Lennon, Bartok, the Twilight Zone, children's lullabys and creepy cartoon themes. As if that weren't enough to satisfy, 'Bedlam' follows and calms things a bit to let us digest before it goes down a troubled path of dissonance and manic fever. Cartoon's music is both indefinable and deeply disturbed, splitting apart at any opportunity like a crazed man running off half-naked into the street, chased by the screaming harpies in his head. 'Light in August' keeps up the urgency and demented pace, and 'Scherzo' is a tortured soul wanting out of a madhouse that may or may not exist in a world of carousels that go too fast and clowns that smell bad... this is a place for neither children nor adults but no matter how hard you try, you can't find your way out. There are animals too, moustached vendors, dwarfs, geeks, slow children at play, small men in hats and fat women in wigs, all attending this freakshow of an album. Fever-pitched, not for the faint hearted, smashing good stuff. 1979 was the death knell of the classic progressive rock era, and only a few gems would arrive by 1980 with Drama, Permanent Waves and a smattering of others, but it was all over and everyone sensed it. But in Phoenix, Arizona, things were just getting started and a local group of talented young musicians had something surprising on the menu, especially for an American avant-garde rock band at that time. Keyboardist Scott Brazieal, guitarist Mark Innocenti, and drummer Gary Para wanted to do highly complex rock that was playful at the same time, and their fondness for incidental cartoon music was as strong as the neo-classical foundation provided by Brazieal's keys. 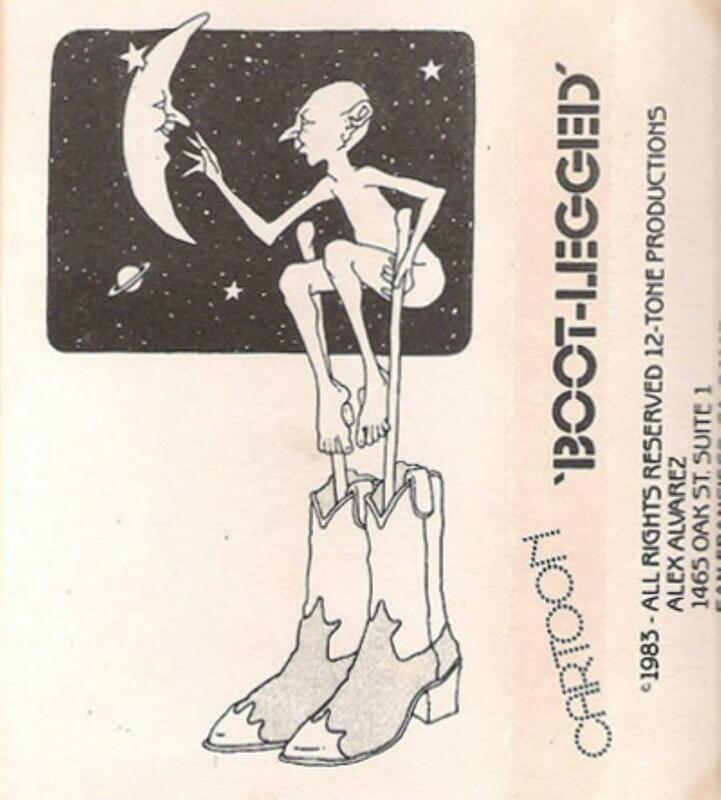 The band relocated to San Francisco in 1980 where they were joined by violinist Craig Fry and Herb Diamant on woodwinds, releasing their debut Cartoon in 1981. Though the music is likened to avant-garders such as Univers Zero and Henry Cow, it is neither as dark as the Zeroes nor as loose as Cow, with a symphonic structure in Scott Brazeal's piano and a heavy rock edge from Innocenti's guitar. Much Zappa-like humor is on hand as well and makes for a well rounded prog rock experience. The chaotic 'Shark' opens the album, a pounder that quickly slips into strangeness before just as quickly becoming light, melodic and linear, with appearances by Ludwig Von's 9th and the fine arrangements and ambition of this outfit who, though perhaps not as tight as their counterparts across the Atlantic, were just as zealous about expanding rock. Brazeal's keyboard takes over for the troubled and angled 'Ptomaine Poisoning', Ravel's influence and some great virtuoso playing shows on 'Anemic Bolero' followed by the crawling anthill 'Flotsam' with its asylum tone and muffled voices, all quite rattling for a group of unknown American rockers in the early 80s. 'Apathy in America' is disjointed and counter-layered with powerful piano, synth, bass and drums, finishing with the descriptive cartoon themes the band liked to highlight and hints of Aaron Copland. 'I Have No Teeth' is a beautiful one-minute synth/guitar tour of linear space and squeaky moments, and the album closes with the eleven-minute opus 'Shredded Wheat'. A splendid band nearly lost to history, Cartoon reminds us that the United States had some prog treasures to offer at a bleak time in popular music. A real delight.